Named for Northern Italian city, the Torino Padded Sling Collection offers chaise lounges, dining chairs, swivel rockers and recliners with a traditional design. Inspired by the comfort of plush, luxury sports cars and the breathtaking scenery of the Italian Alps, the Torino Padded Sling Collection brings an unmatched style to any setting. Torino Padded Sling Outdoor Furniture offers a perfect setting to enjoy a morning espresso or a sumptuous feast around the table with extended family. The Torino Padded Sling Collection features two layers of fabric with padding slung across the seat and back frame for optimum comfort. 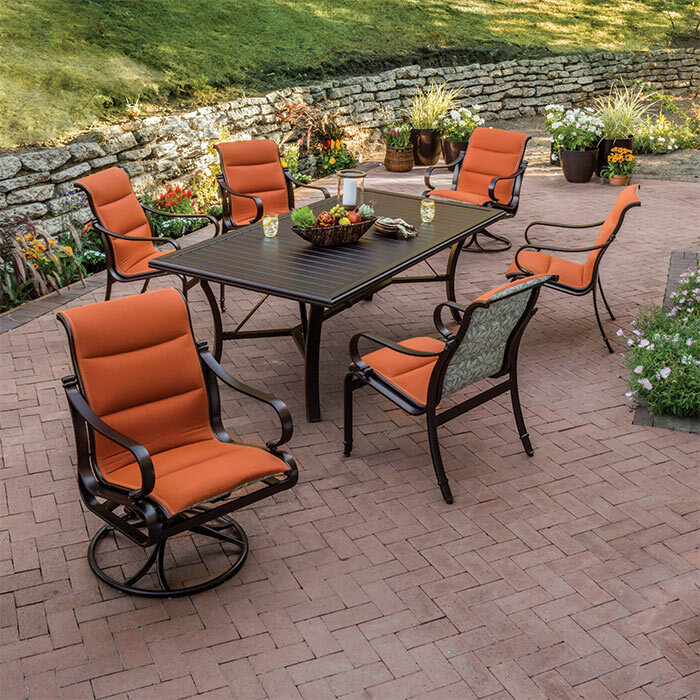 Customize this patio furniture collection by selecting from Tropitone's plethora of fabrics and finishes.